Learn how to get rid of the Yahoo redirect virus on Mac and stop recurrent unauthorized traffic forwarding in Safari and other browsers on a Mac computer. When the prerogative of unimpeded web surfing slips out of one’s hands, things quickly get intolerable. In this scenario, doing a search via preferred service or simply launching a browser of choice will return a site the user doesn’t expect to see. If this is the case, the victims should look for malicious code that’s implementing this whole stratagem behind their back. When it comes to Mac computers, there are numerous marginal browser hijackers that never reach sizeable distribution volumes, but there are also major campaigns that last for years and span thousands of machines. The latter holds true for the Yahoo redirect virus, a plague whose prevalence demonstrates how important it is to stick with reasonable online hygiene. The main symptom of this incursion is an annoying web traffic rerouting activity, with the resulting page being search.yahoo.com. At this point, many readers will probably start wondering why the above-mentioned legit search engine is flagged malicious. As a matter of fact, it’s not – otherwise, the categorization is an utter misconception. Instead, the entire problem is about a perpetrating app that literally enslaves one’s web browser and forwards the bulk of the Internet surfing routine to Yahoo. Online traffic funneling from unique hosts is an extremely valuable asset nowadays, and the cybercrooks have contrived an intricate model to harness and monetize in their very own, nefarious way. The thing is, before a victim ends up on the reputable Internet giant in question as a result of the hijack, they get routed via a number of intermediary domains, and these hits actually count in the dodgy traffic monetization platform. The aggressive phase of the raid is preceded by a furtive infiltration of the underlying malware into the Mac. This is typically an upshot of a bundling technique heavily used by both decent and unscrupulous software developers to cross-promote certain apps coming as part of a bigger installation package. Users don’t read the fine print these days, and that could be a source of serious quandaries. The Yahoo redirect virus may lurk in multi-pronged setup clients for what appears to be a legit software update or some useful free tool, such as a media downloader or video game. For instance, the fake Adobe Flash Player update popups are known to spread this electronic malady. The express installation option, which is most people’s favorite due to the ease of the setup, will silently pull in the culprit. The next thing you know, Safari, Chrome or Firefox on the Mac will start acting up badly. Once the contamination has taken place on a macOS or Mac OS X system, the redirects to search.yahoo.com are usually triggered according to a specific pattern rather than haphazardly. The victims report their Google searches being forcibly diverted to Yahoo. Simply opening one’s preferred browser is another trigger for the predicament. All attempts to sort it out by defining correct URLs for the corresponding custom browsing settings are futile – the wrong values shortly reappear in there due to the persistent malware activity. Sometimes the defaults may even be right, with the interference taking place at a different layer of the host operating system. Under the circumstances, the cure should synchronously cover several areas of the affected system, as shown in the cleanup part below. When confronted with malicious code like the Yahoo redirect virus on Mac, you can neutralize its toxic impact by leveraging a specially crafted system utility. The Freshmac application (read review) is a perfect match for this purpose as it delivers essential security features along with must-have modules for Mac optimization. This tool cleans unneeded applications and persistent malware in one click. It also protects your privacy by eliminating tracking cookies, frees up disk space, and manages startup apps to decrease boot time. On top of that, it boasts 24/7 tech support. The following steps will walk you through automatic removal of the Yahoo redirect infection from Mac. Check whether the search.yahoo.com redirect problem has been fixed. If it perseveres, go to the Uninstaller option on Freshmac GUI. Locate an entry that appears suspicious, select it and click Fix Safely button to force-uninstall the unwanted application. Go to Temp and Startup Apps panes on the interface and have all redundant or suspicious items eliminated as well. 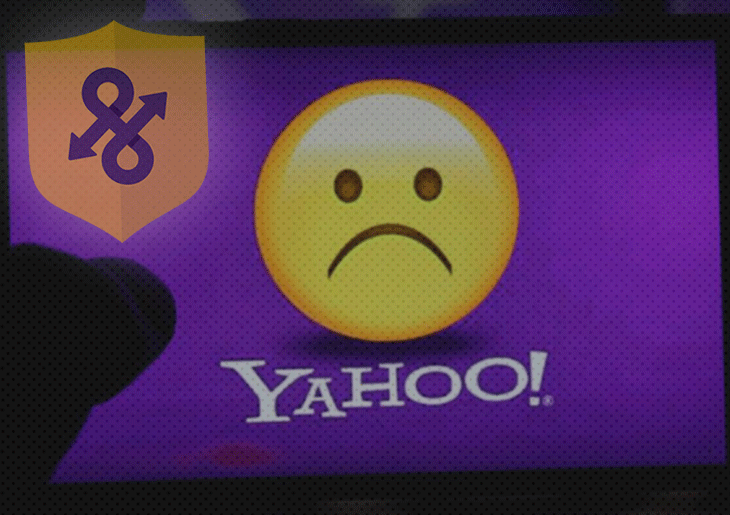 The Yahoo redirect virus shouldn’t be causing any further trouble.